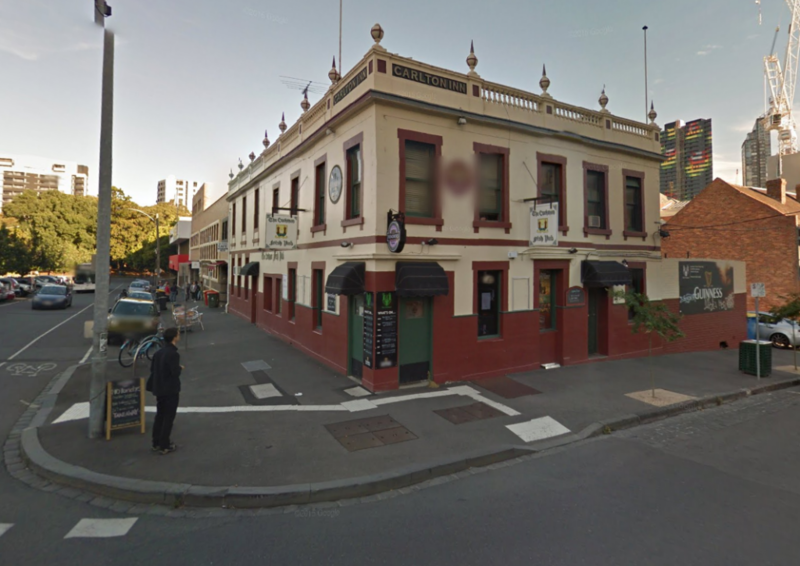 After a long delay due to other legal proceedings, the illegal 2016 demolition of the Corkman Irish Pub (formerly the Carlton Inn) is set to return to VCAT. Soon after the demolition of the pub, the Minister for Planning and City of Melbourne jointly applied to VCAT for an enforcement order requiring the reconstruction of the pub. A similar application was also made by students from Melbourne Law School, which is opposite the Corkman Hotel site. It was determined by VCAT that both proceedings would remain separate, but be heard and determined jointly. The enforcement proceedings essentially seek that the land be restored to its prior condition (i.e. that the building be reinstated on the land to the same condition and form, reusing materials from the demolished building where practical and safe to do so). The enforcement proceedings had been listed for a Compulsory Conference scheduled for March 2017, and a hearing for July 2017. Prior to the March conference, the developers applied for an indefinite stay of proceedings pending the outcome of criminal proceedings brought against them by Melbourne City Council. This request was refused by VCAT Deputy President Mark Dwyer. However a stay of proceedings was later ordered by the Supreme Court due to a legal challenge by the developers against Design and Development Overlay Schedule 68 (DDO68), gazetted by the Minister soon after the demolition. DDO68 required restoration and reconstruction in facsimile of the building as it stood immediately prior to demolition. It was argued by the developers that the DDO amounted to a punative measure for the illegal demolition, but that it is unlawful to use the Planning Scheme as a punative instrument. In December 2018, the Minister for Planning gazetted Planning Scheme Amendment C346, applying Incorporated Plan Schedule 6 over the site, which requires that before any development is approved, the land owner must prepare an Incorporated Plan which includes the site context and surrounding development, a Heritage Response Plan and a plan showing the form of the proposed future development. The Incorporated Plan must demonstrate consideration of the historical, cultural and social significance of the site and the scale, design and materials of previous buildings on the site. However this places the onus on the developer to determine the heritage response. In addition, the planning scheme allows for a 40m building on the site (approximately 12 storeys), under Design and Development Overlay 61. At the same time, the Minister introduced Planning Scheme Amendment VC155, which applies to all planning schemes across the state, enabling decision-makers to consider whether it is appropriate to require the restoration or reconstruction of a heritage building in a Heritage Overlay that has been unlawfully or unintentionally demolished, to retain or interpret the cultural heritage significance of the building, streetscape or area. In December 2018, VCAT issued an order scheduling a new Practice Day Hearing for 11 January 2019. At the Practice Day Hearing, it was revealed that the Supreme Court had lifted the stay on proceedings, due to the gazettal of planning scheme amendments C346 and VC155. A Compulsory Conference has been listed for 22 February 2019, and a hearing for the first week of June, before VCAT Deputy President Helen Gibson AM. It is expected that the hearing will test the Minister’s new statewide planning provision designed to tackle illegal demolition. Meanwhile, in January, developers Raman Shaqiri and Stefce Kutlesovsk pleaded guilty to its illegal destruction at the Magistrates Court in January 2019, as reported in The Age.